Derek Fenstermacher is leading a new era of tuba soloists into the 21st century with his dynamic musicianship and keen eye for detail. As the recently appointed Principal Tubist with the New Jersey Symphony, Derek has now entered into the New Jersey music scene with a thirst for creativity and a passion for education. 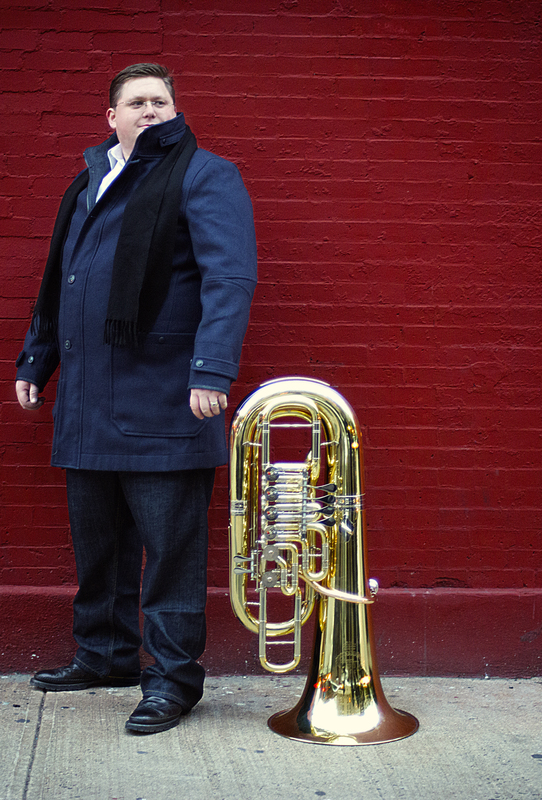 In 2015, he joined the Albany Symphony Orchestra as Principal Tuba. Prior to coming to the NJSO, Derek was the Principal Tubist with the Chattanooga Symphony and Opera Orchestra (TN) from 2006-2014. He has also performed with the New York Philharmonic, Cincinnati Symphony, Seattle Symphony, Mariinsky Theater Orchestra, Nashville Symphony Orchestra, the New World Symphony, Houston Ballet Orchestra, Alabama Symphony, Cincinnati Chamber Orchestra, Huntsville Symphony, Dayton Philharmonic, West Virginia Symphony, Mobile Symphony, Tuscaloosa Symphony, and Meridian Symphony orchestras, as well as being an Associate Member with the Civic Orchestra of Chicago in 2008-2009. An enthusiastic teacher, Derek teaches orchestral tuba at Bard College’s Conservatory of Music and also coaches the school’s brass quintet and trombone quartet. He is also Adjunct Professor of Tuba and Euphonium at Montclair State University where he teaches applied lessons in Music Education and Music Performance. Derek has taught masterclasses at numerous universities, including University of Wisconsin-Madison, and University of Miami. In 2008 Derek won the Leonard Falcone Artist Solo Tuba Competition, one of the premier tuba solo competitions in the world. That same year he won three competitions and was a finalist in a fourth at the International Tuba Euphonium Conference in Cincinnati, OH. Derek has won and placed in concerto competitions in Georgia, Colorado, Michigan, and Texas. He has been a featured artist at the 2013, 2015, and 2017 Northeast Regional Tuba Euphonium Conference, and the 2014 and 2016 International Tuba and Euphonium Conference. An avid chamber musician, Derek co-founded the Boreas Quartet, an exciting new ensemble featuring some of the brightest up and coming musicians. Their first CD, The Serpent’s Kiss, is available through Potenza Music, and additional recording projects are expected in the near future. Derek is also a member of the New York Tuba Quartet, which unites some of the finest brass musicians that New York City has to offer. These endeavors have allowed him to pursue a new passion, arranging, and his arrangements from The Serpent’s Kiss can be purchased from Potenza Music. This season, he joins the Sotto Voce Quartet, the premiere tuba/euphonium quartet, and will be touring nationally with the ensemble. Derek began playing the tuba at the age of 14 and by age 19 he was a featured soloist with the Huntsville Symphony Orchestra. He received a B.M. from the University of Alabama studying with Demondrae Thurman and James Michael Dunn. Derek went on to receive a master’s degree from the University of Cincinnati College-Conservatory of Music with Timothy Northcut, and prior to moving to New Jersey was obtaining a Performer’s Certificate from the University of Houston with Mark Barton. Derek lives with his lovely wife, flutist Allison Kelsey, and their two cats. In his free time Derek enjoys cooking southern BBQ.